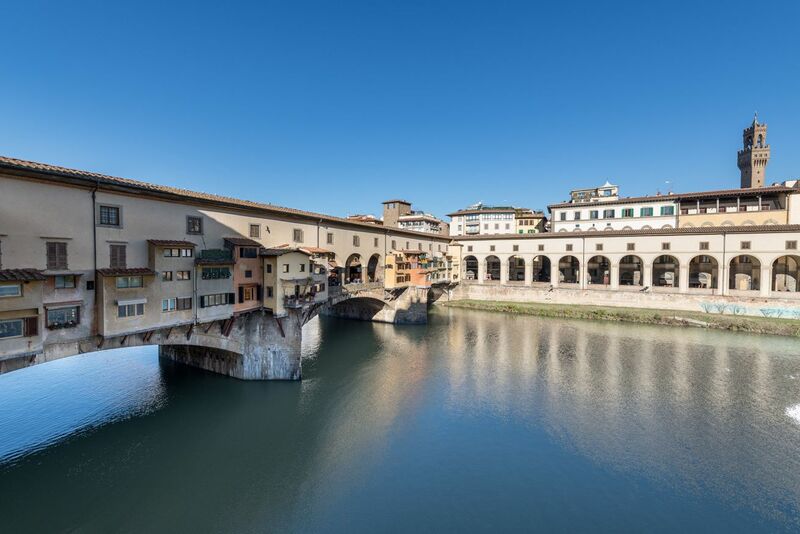 Awesome apartment overlooking Ponte Vecchio and the Uffizi Gallery, located on the first floor (2nd US floor) of a palace with elevator in the very central via Bardi in Florence. 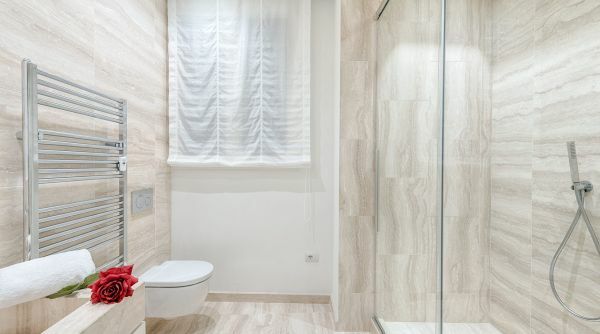 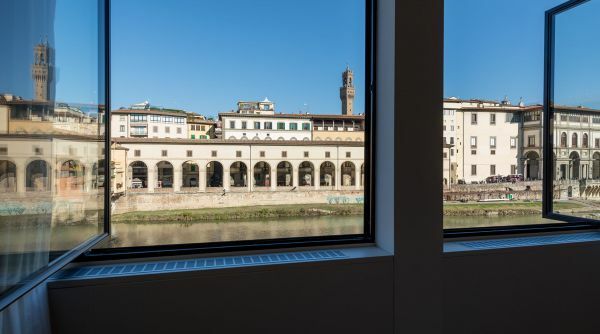 An excellent position in the heart of the city, few steps to all the main monuments and museums; it takes only 5 minutes by foot to get to the Duomo, the Boboli Gardens and the Uffizi Gallery. 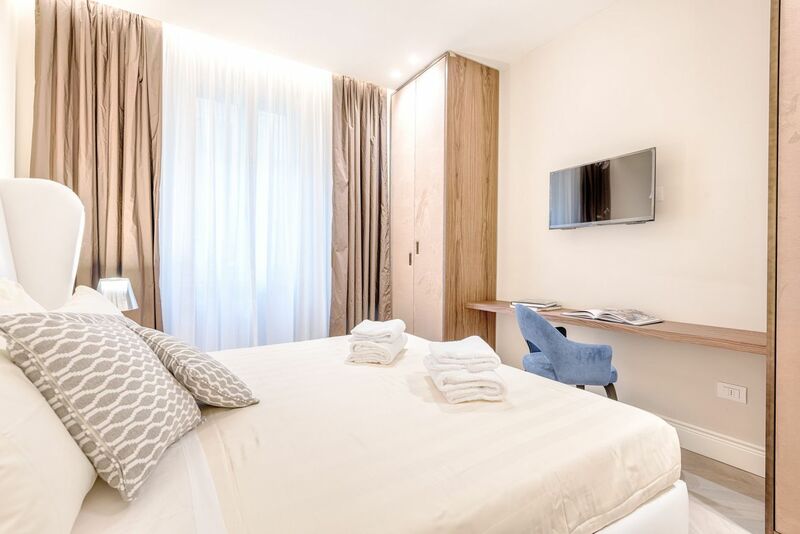 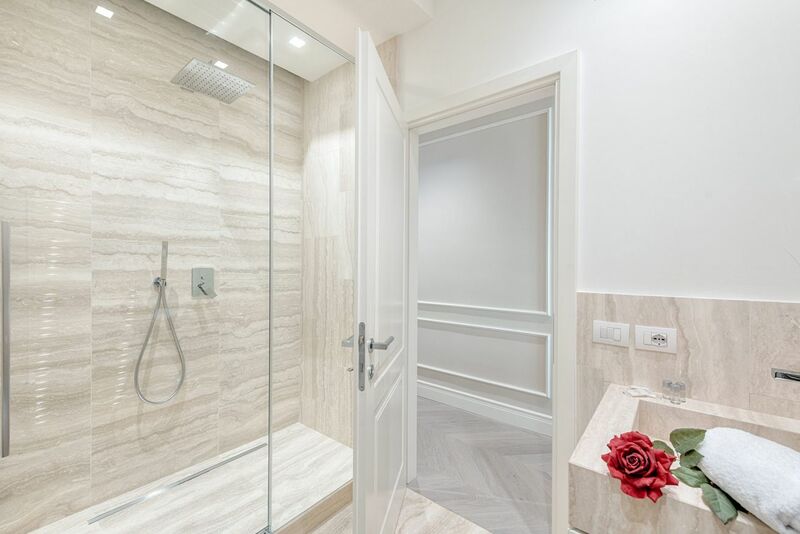 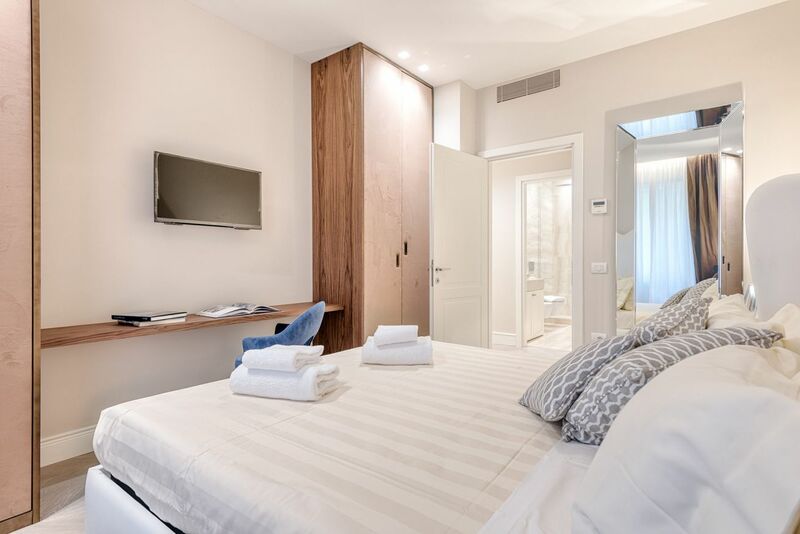 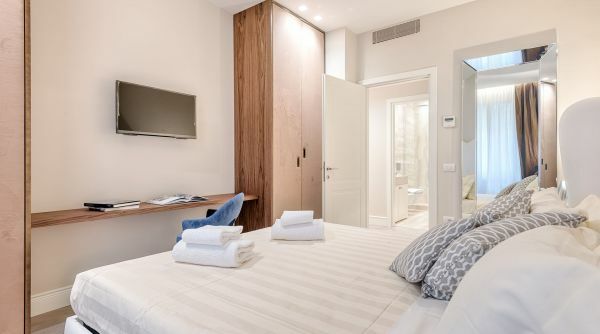 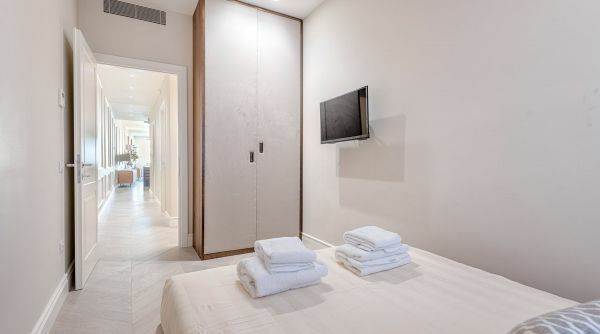 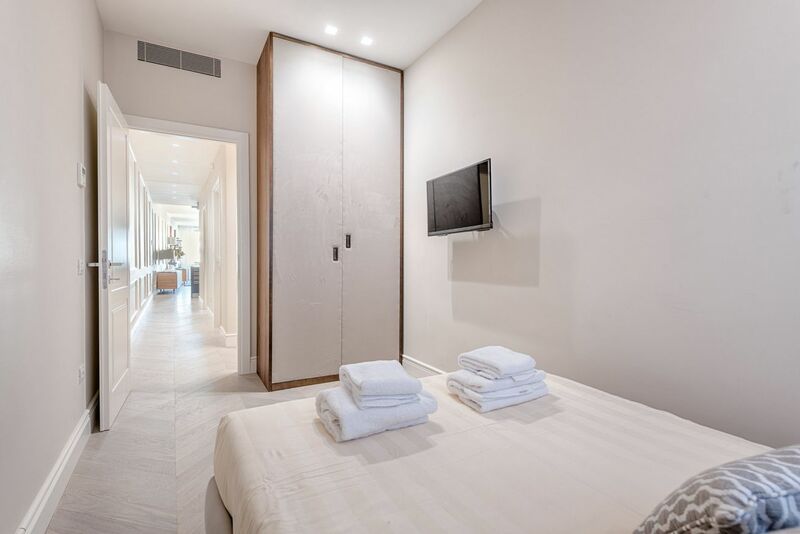 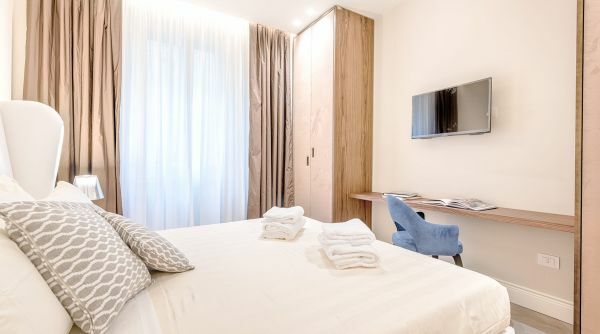 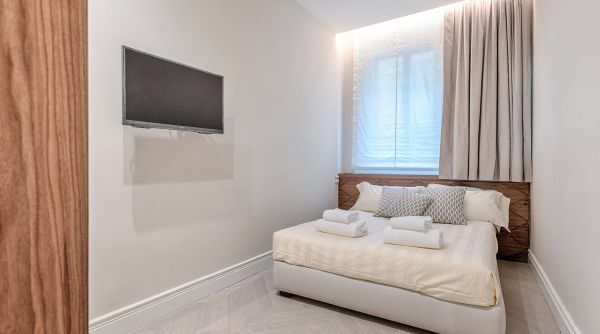 The apartment is composed by three double bedrooms with TV, three complete bathrooms with shower and a wide comfortably commone space with kitchen and a large and bright living room. 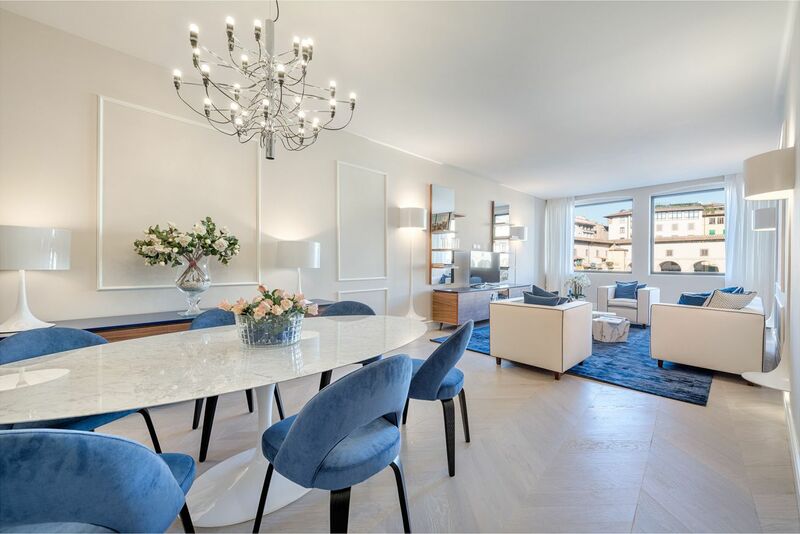 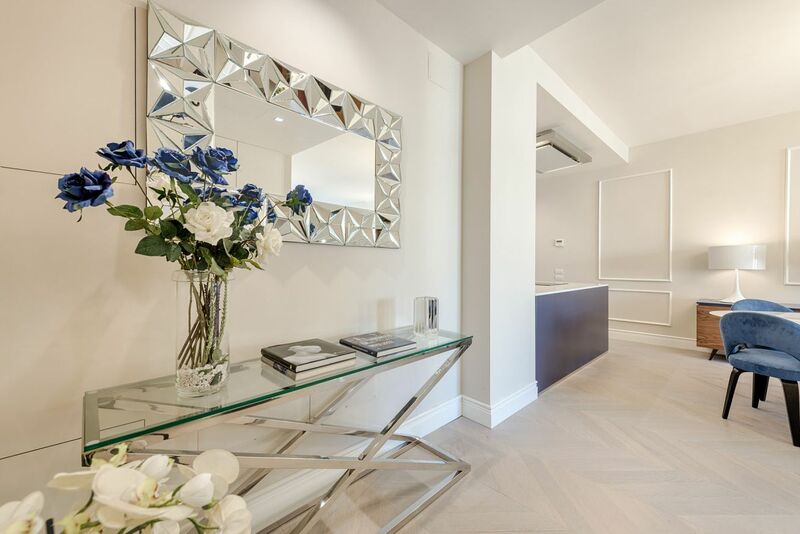 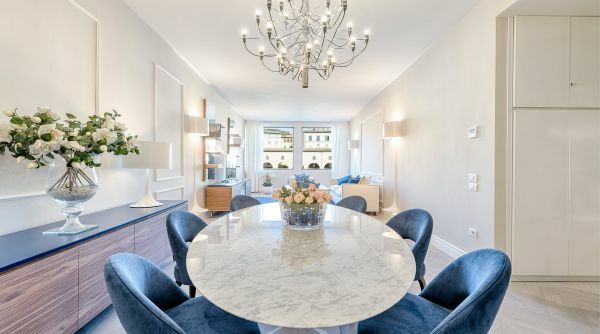 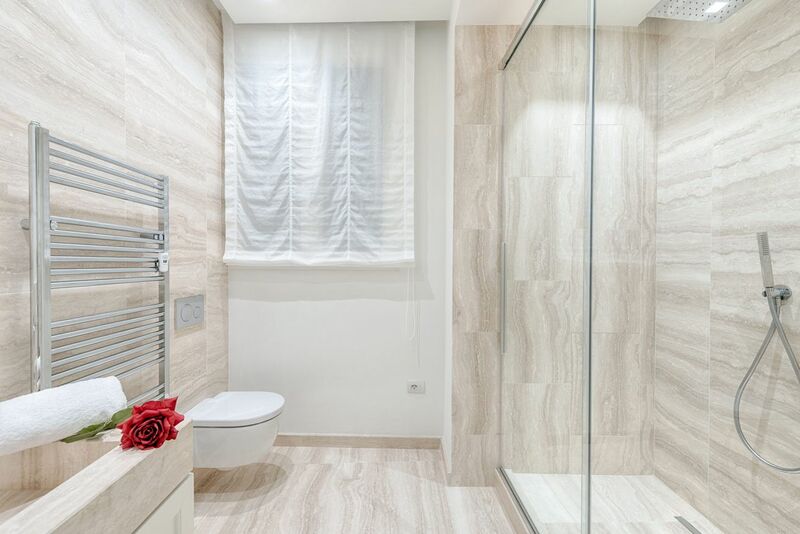 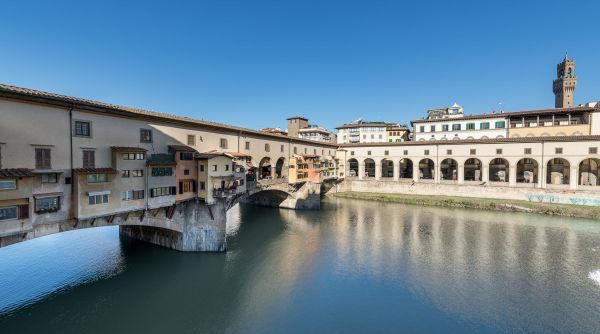 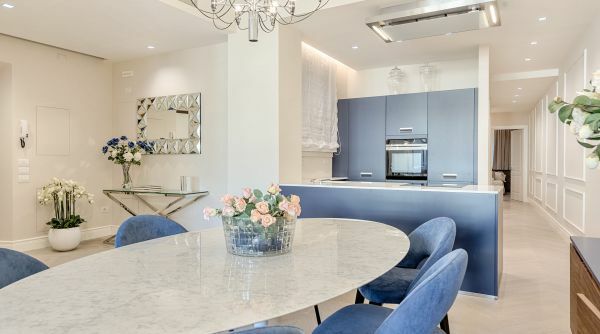 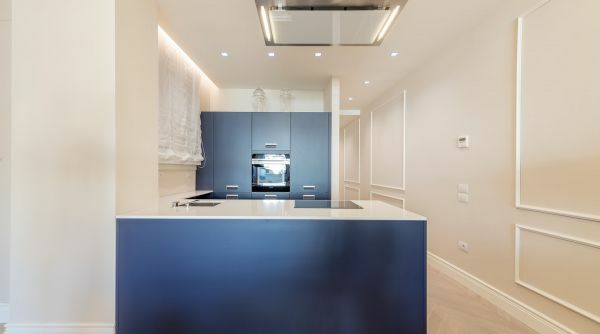 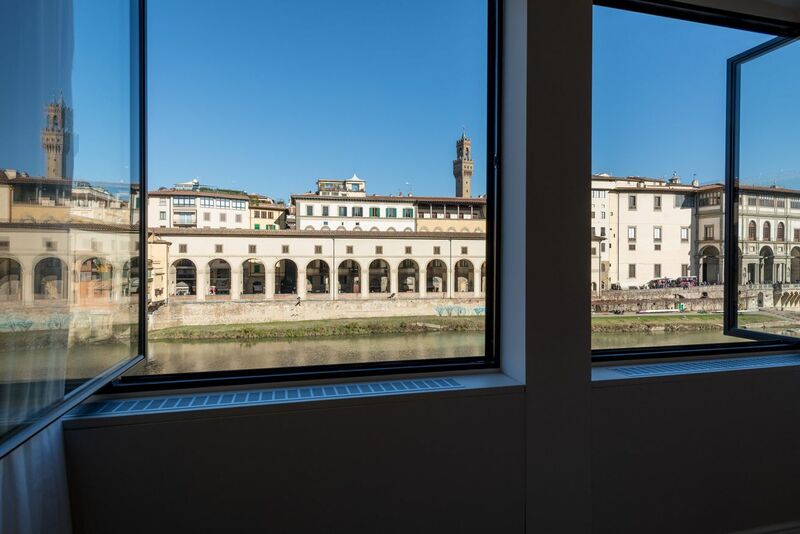 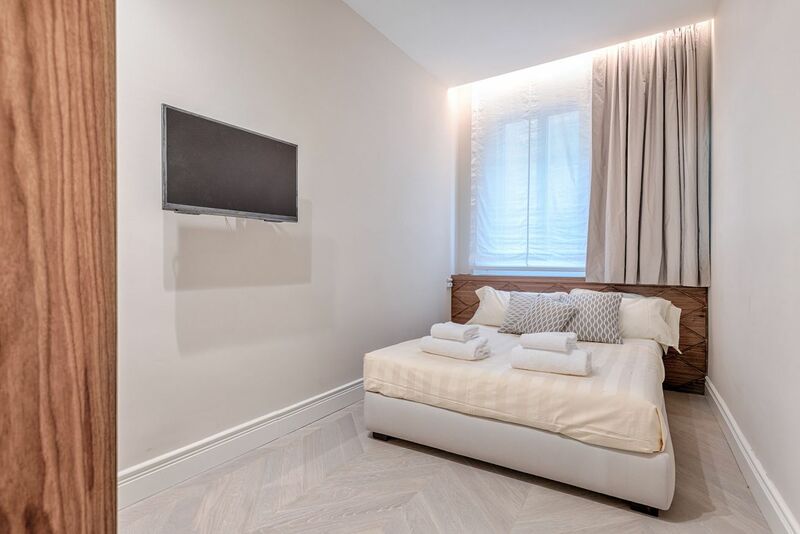 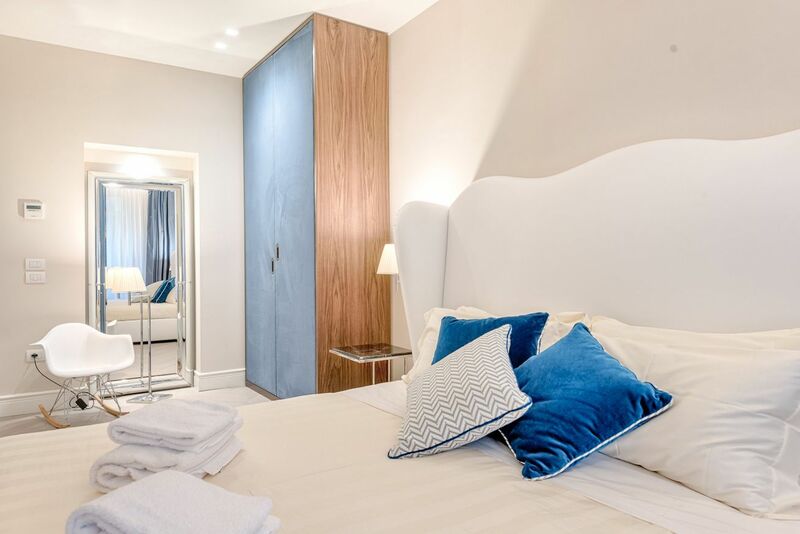 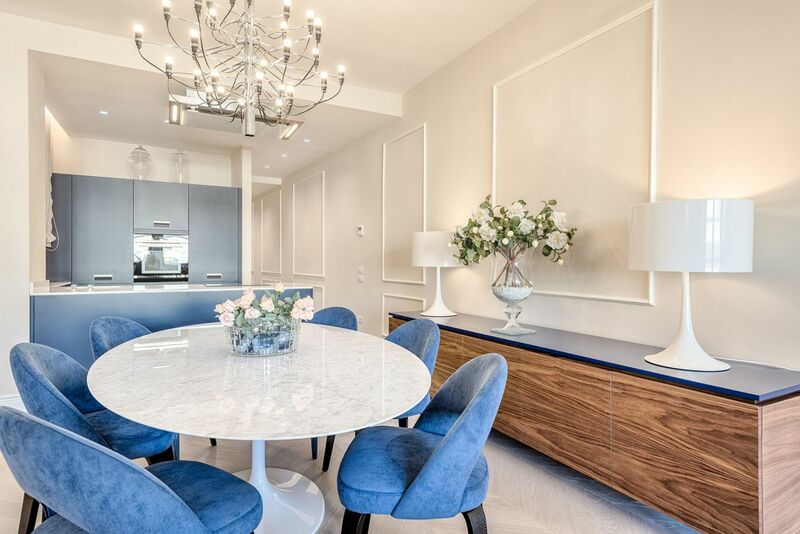 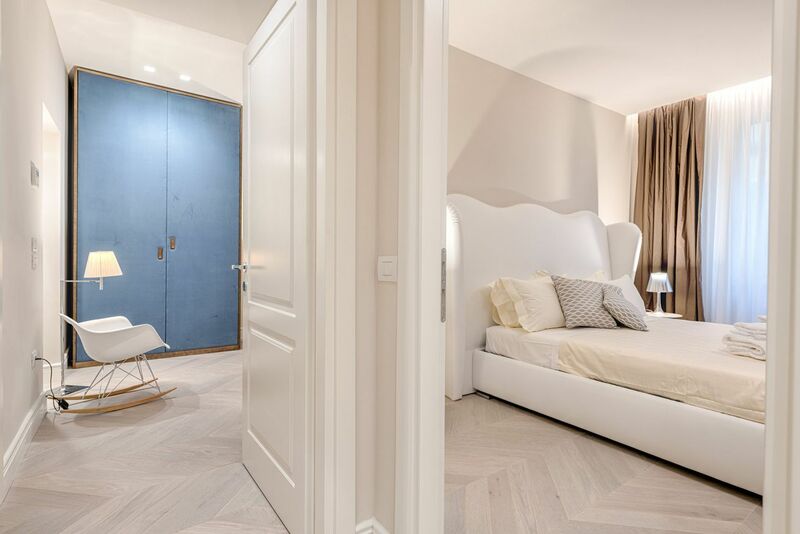 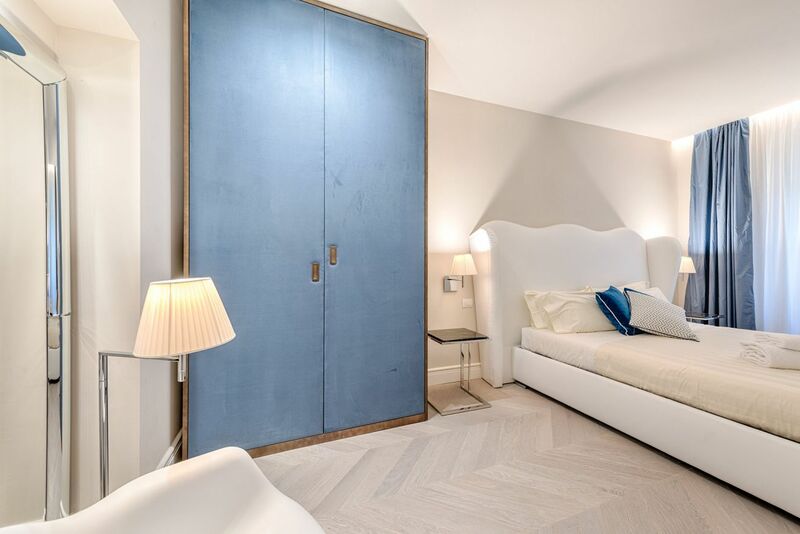 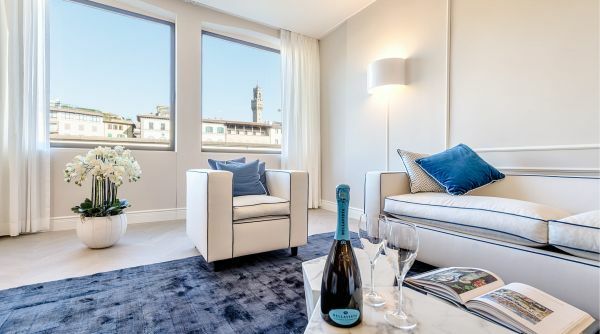 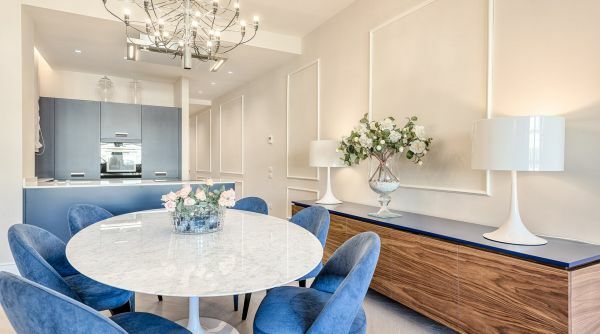 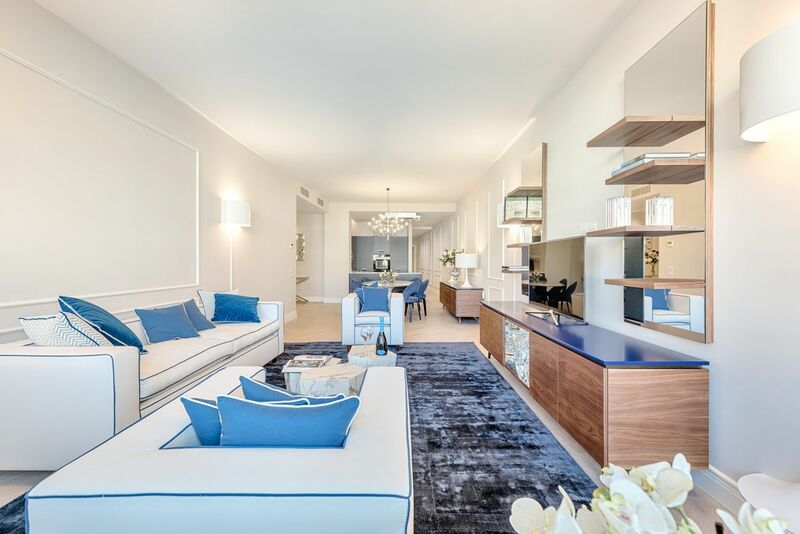 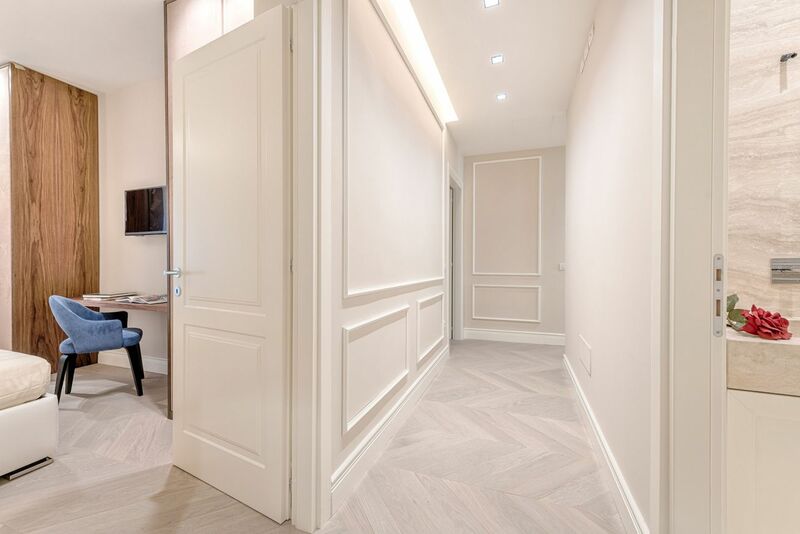 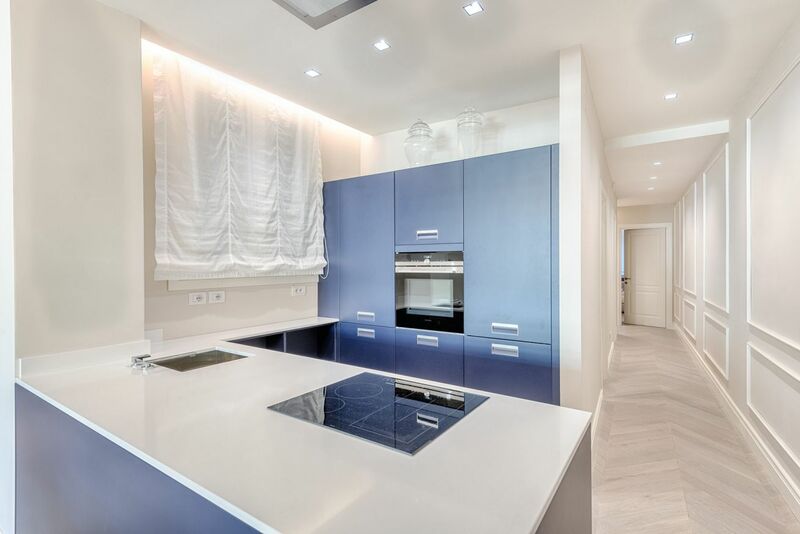 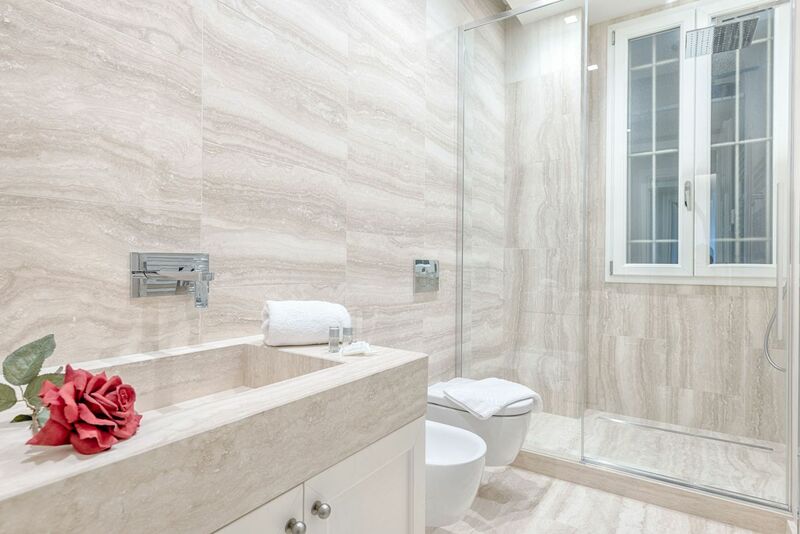 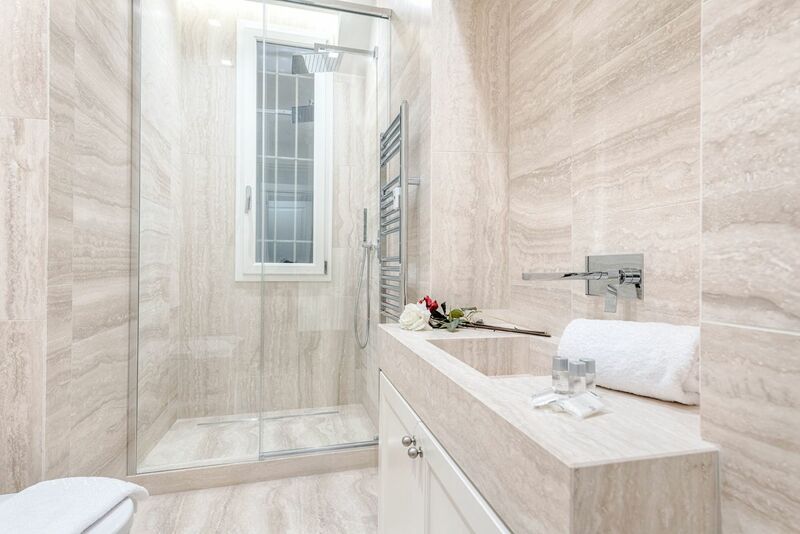 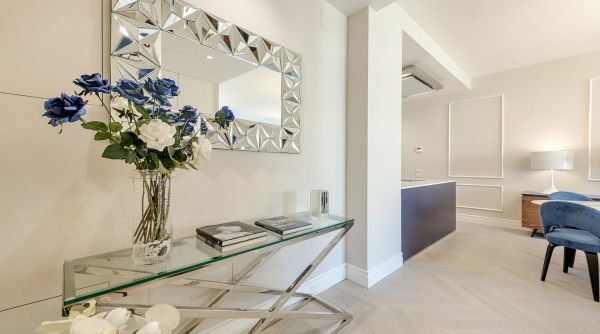 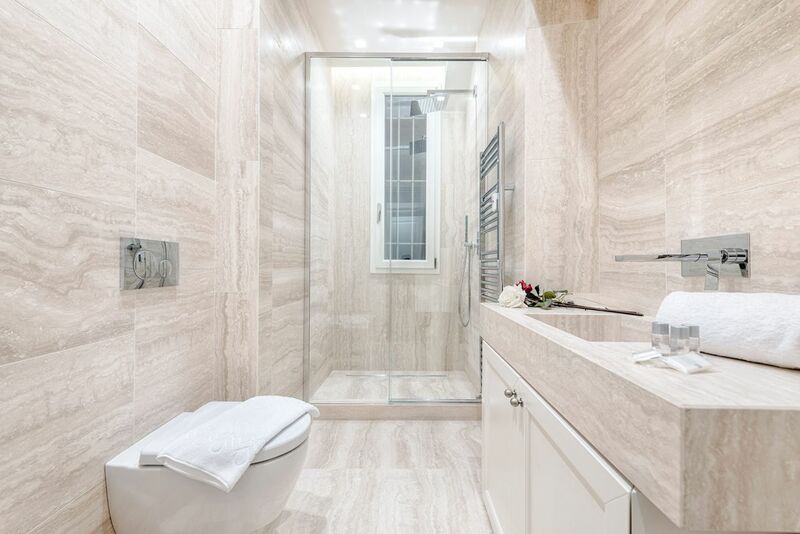 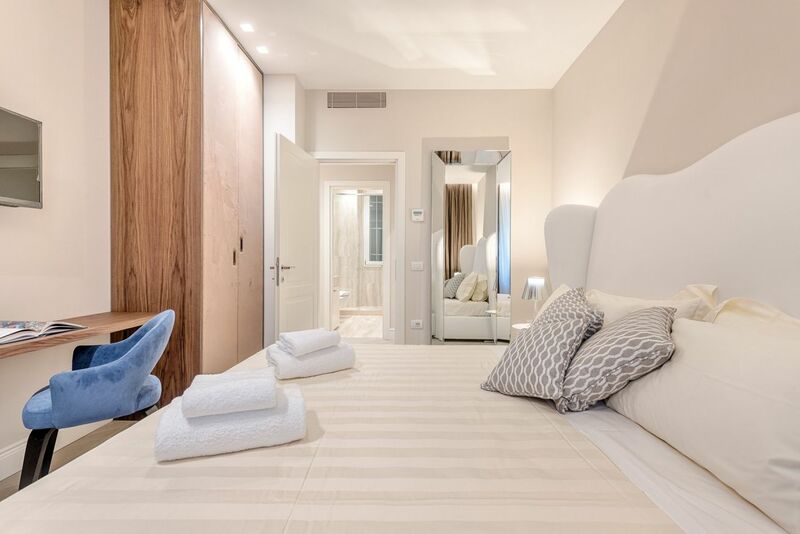 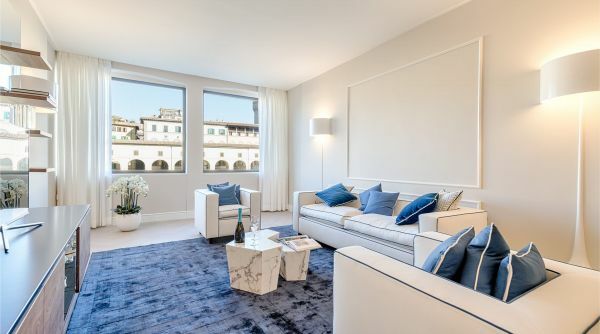 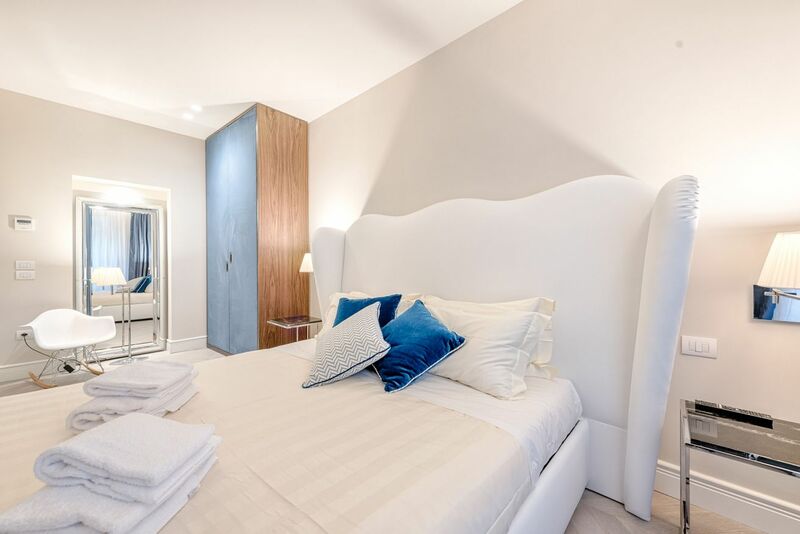 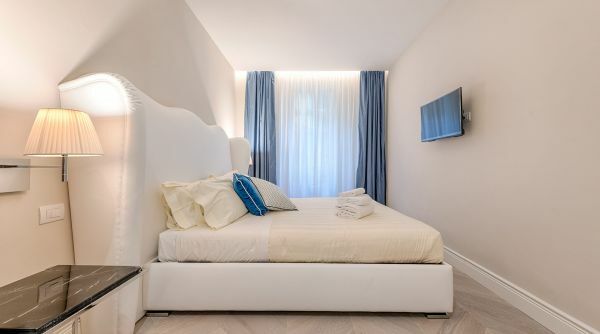 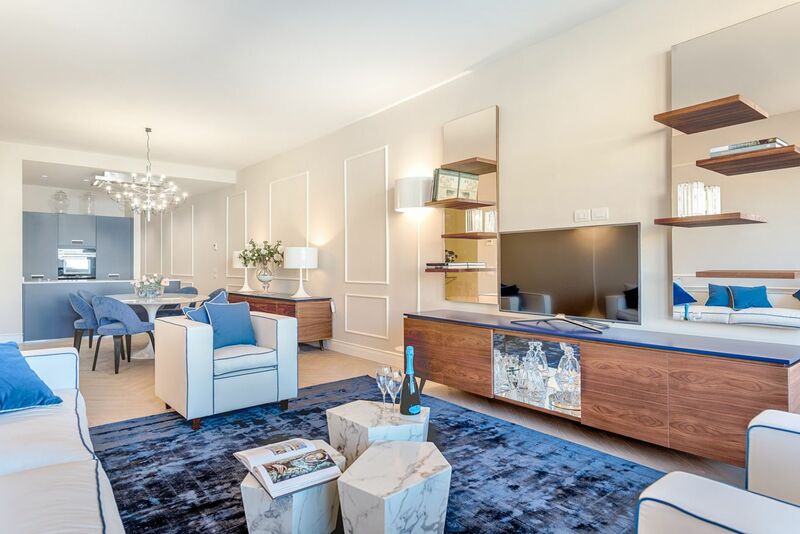 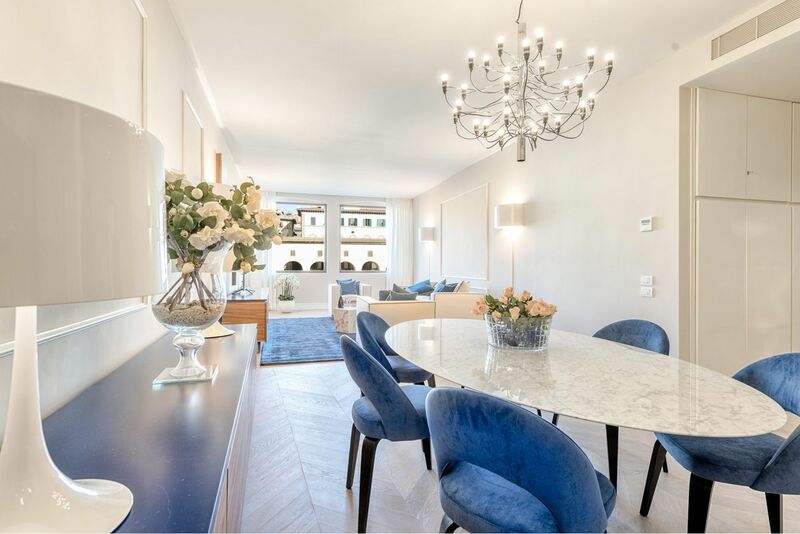 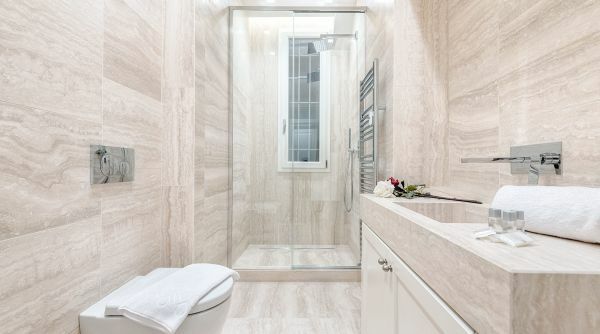 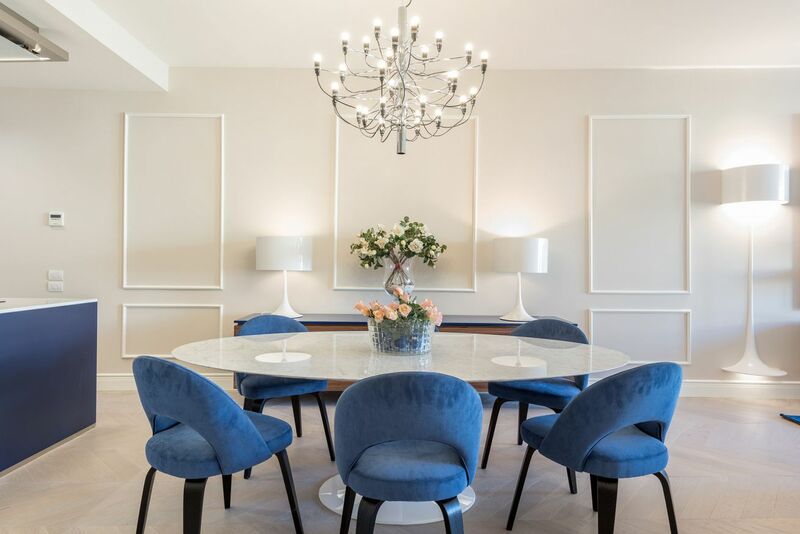 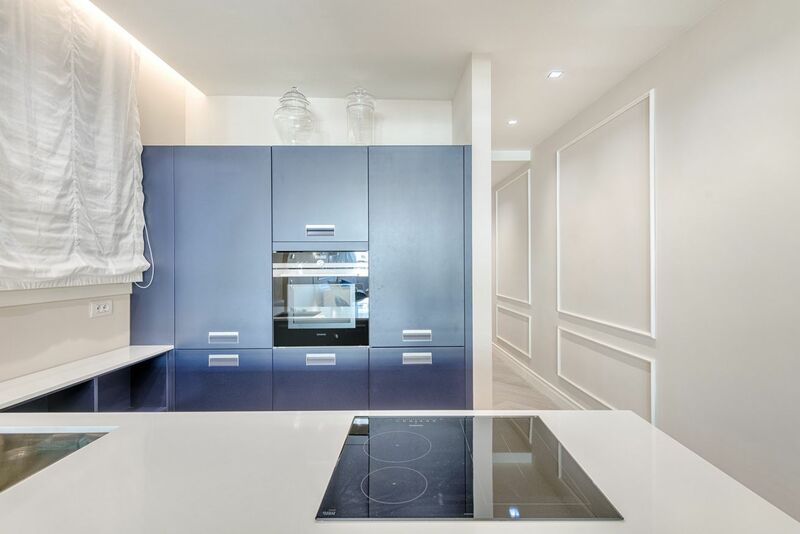 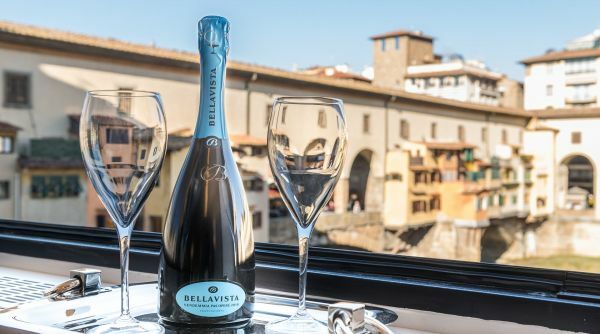 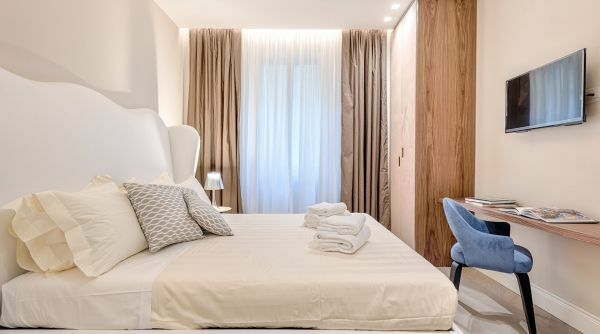 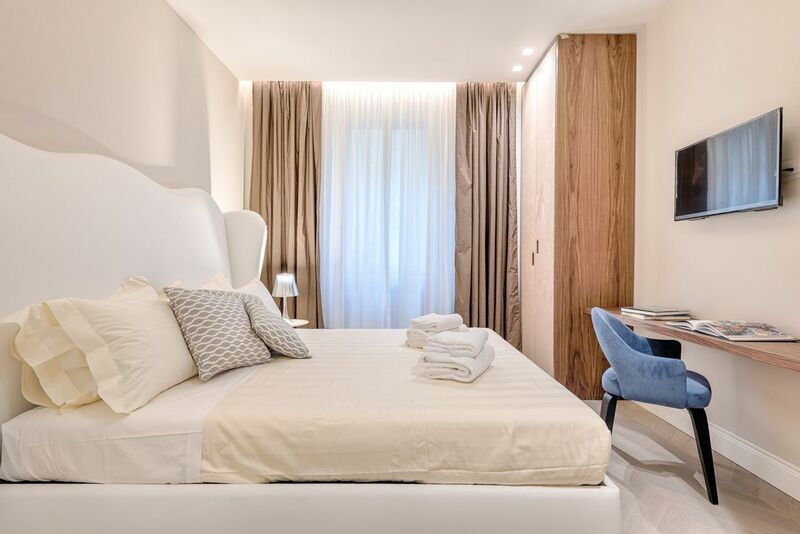 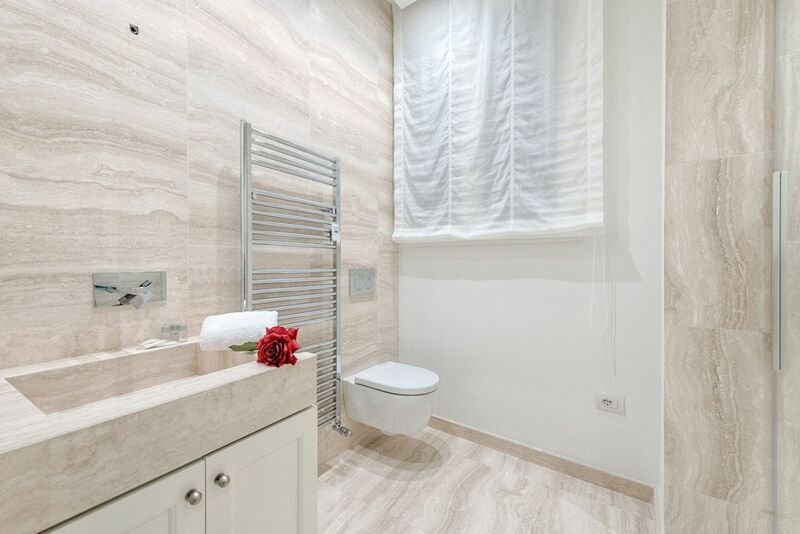 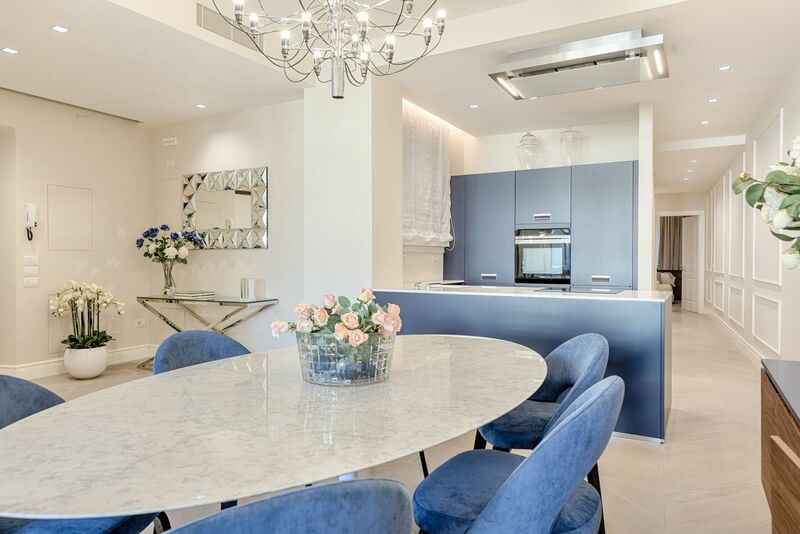 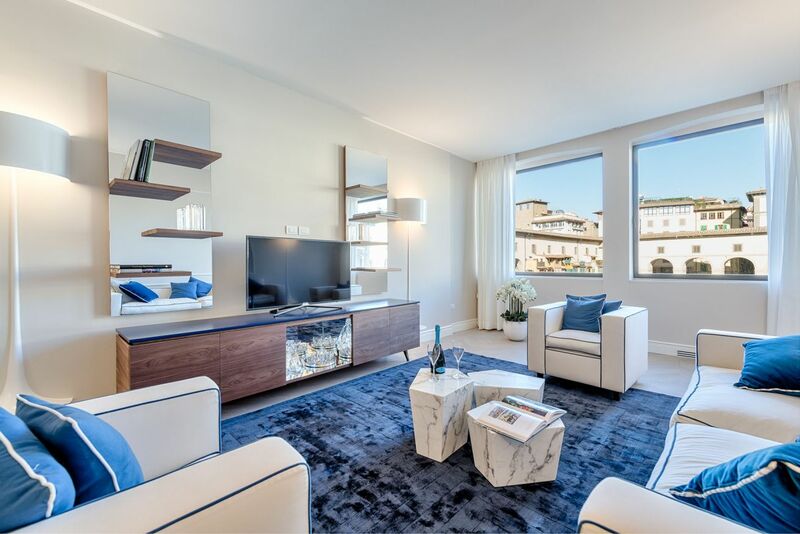 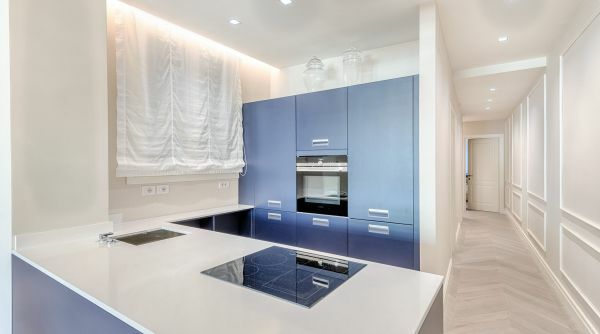 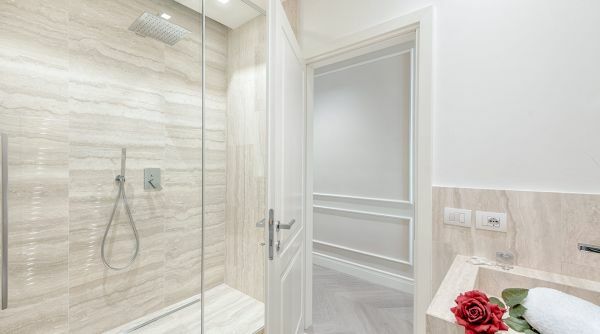 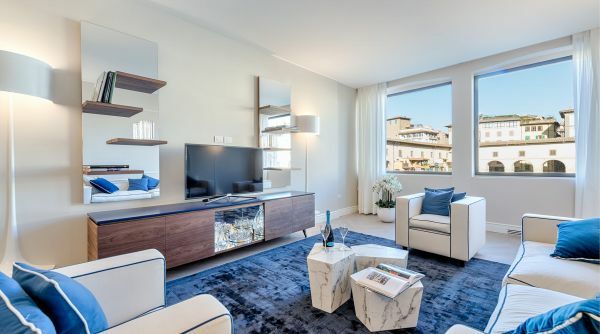 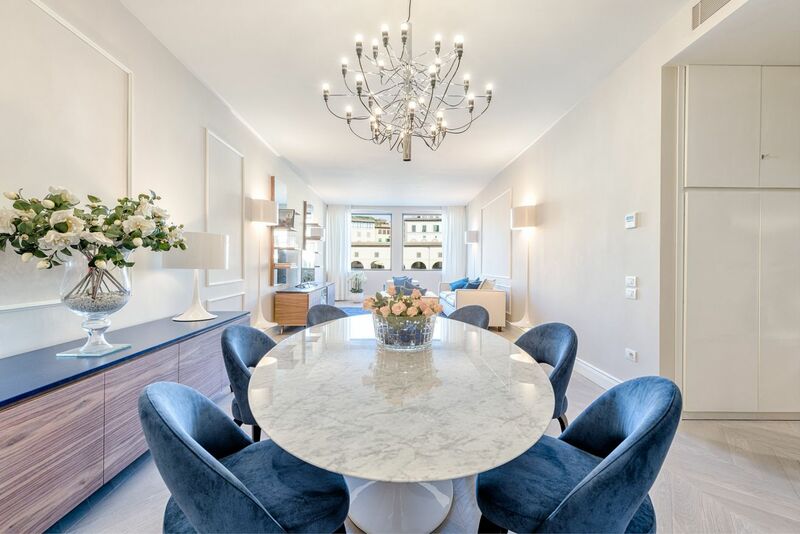 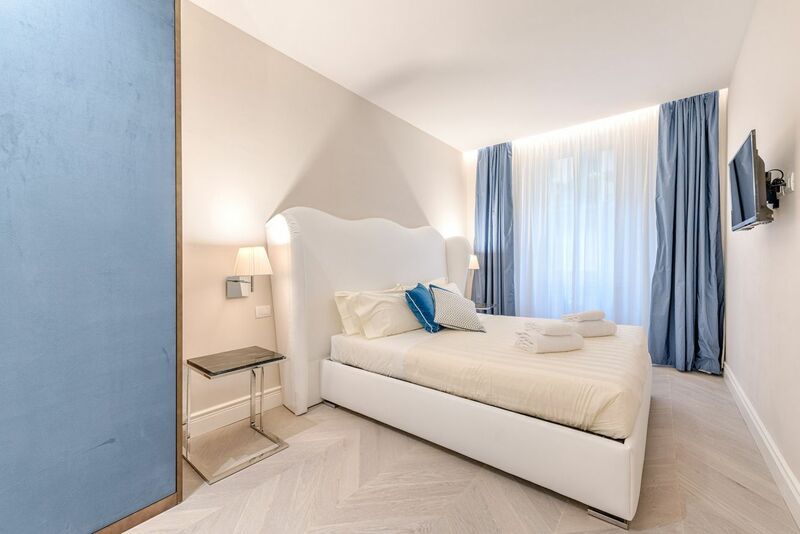 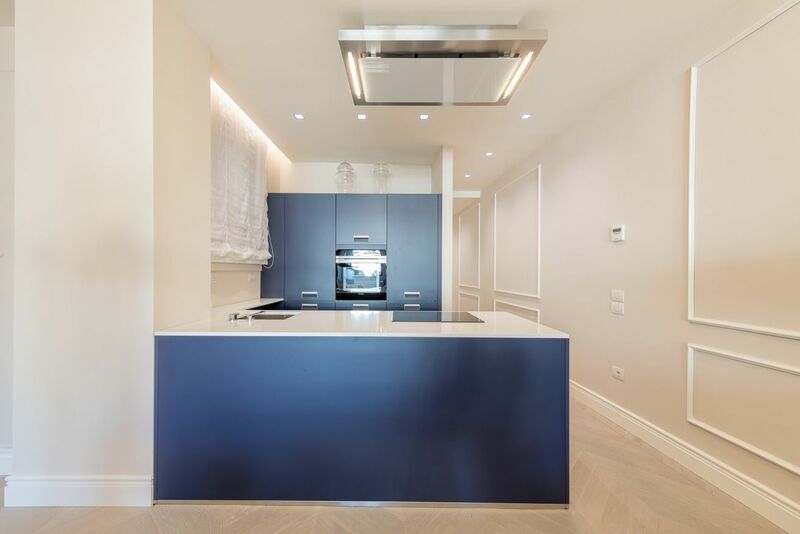 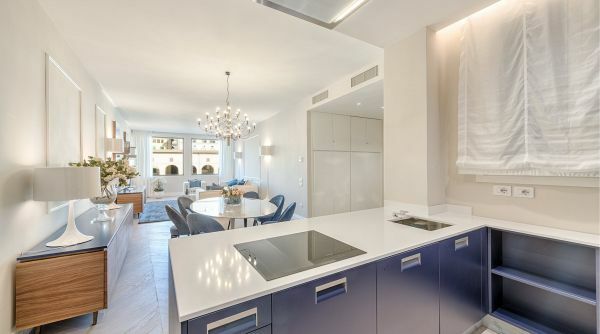 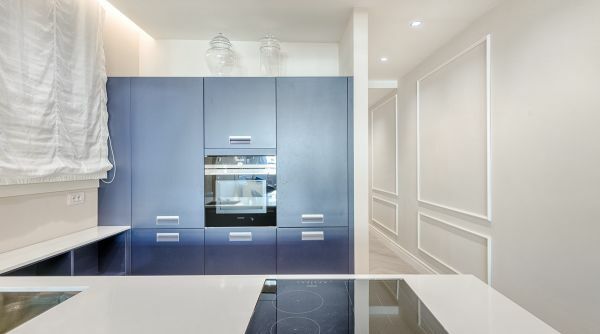 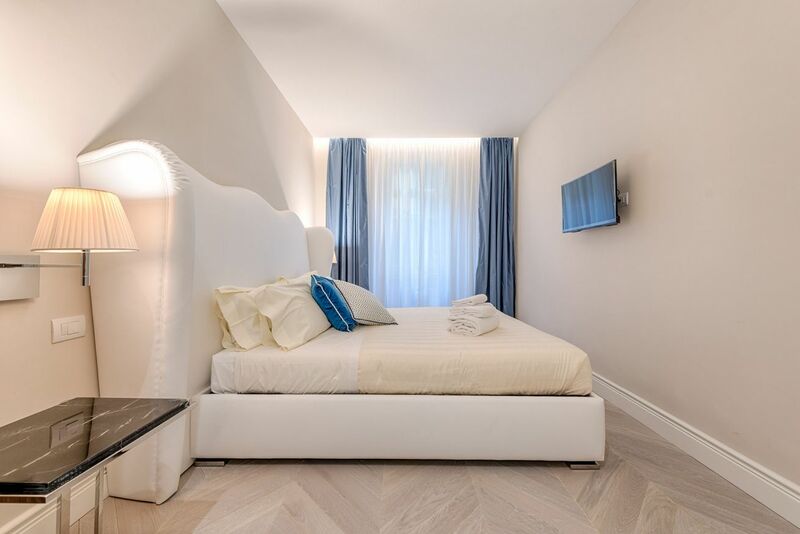 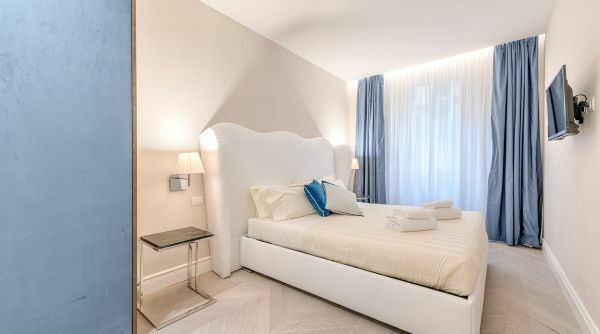 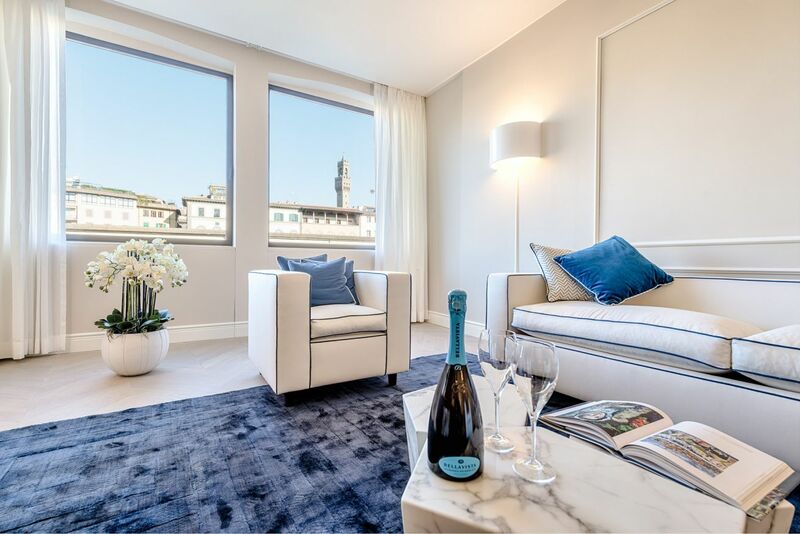 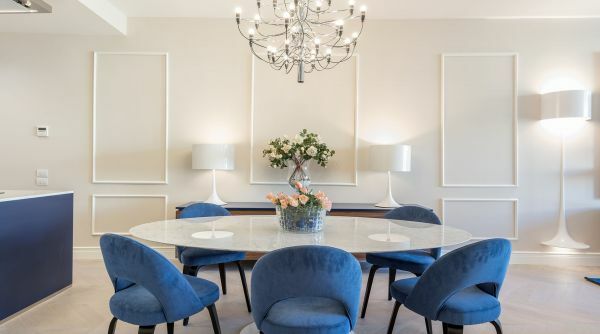 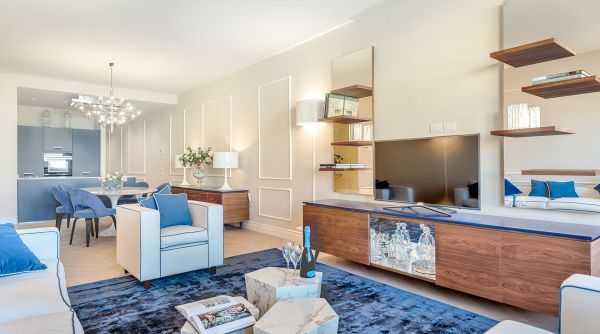 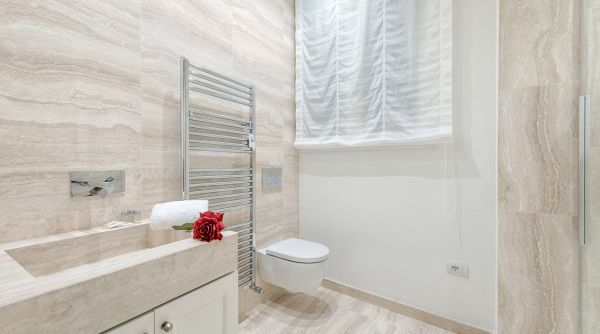 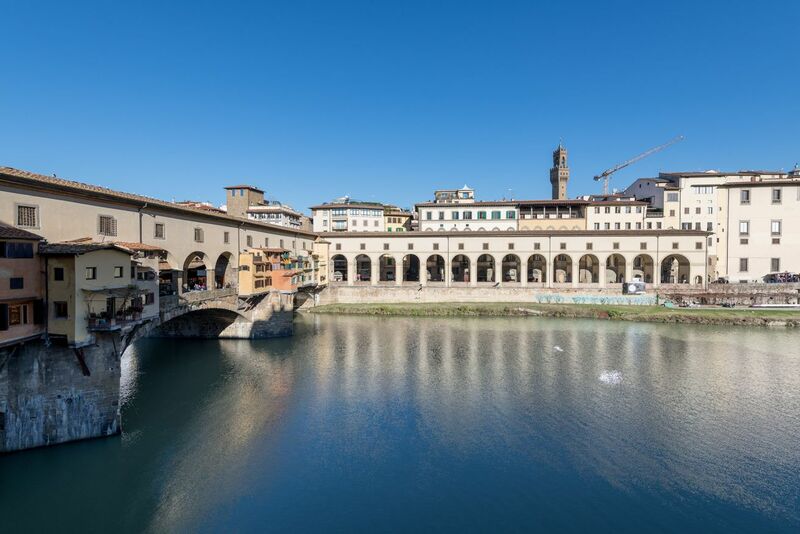 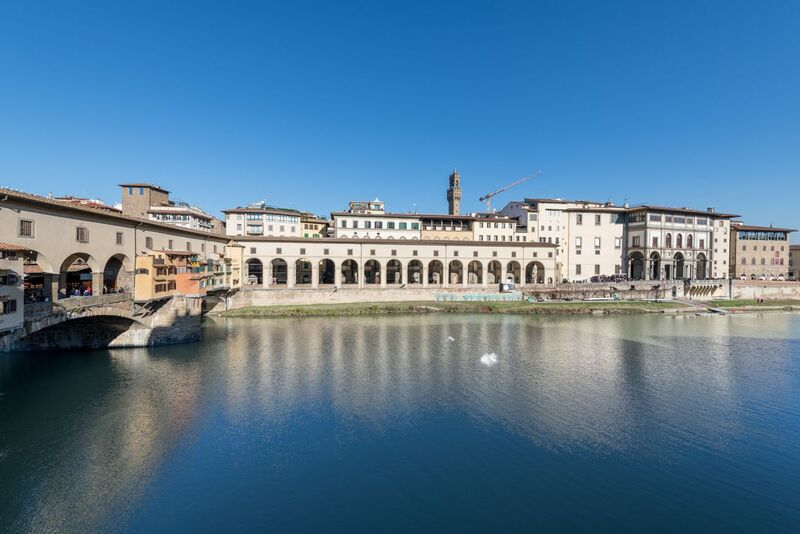 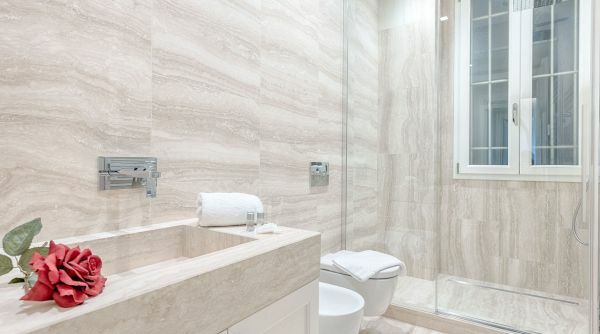 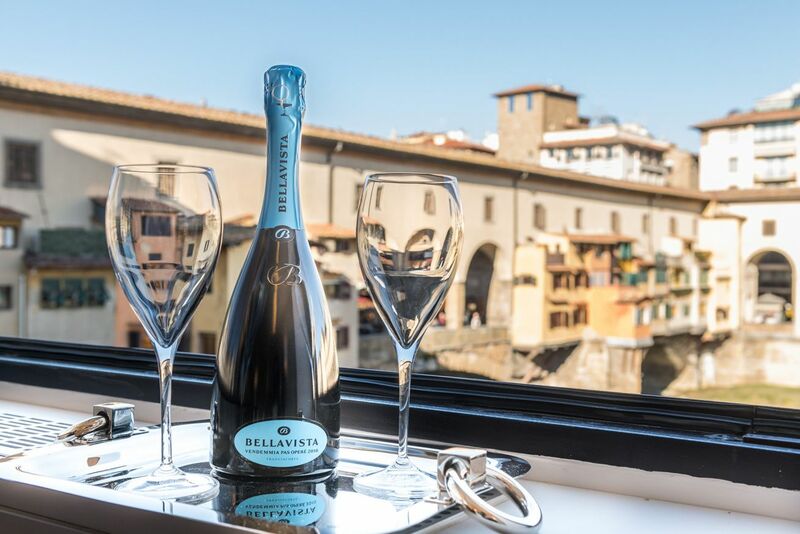 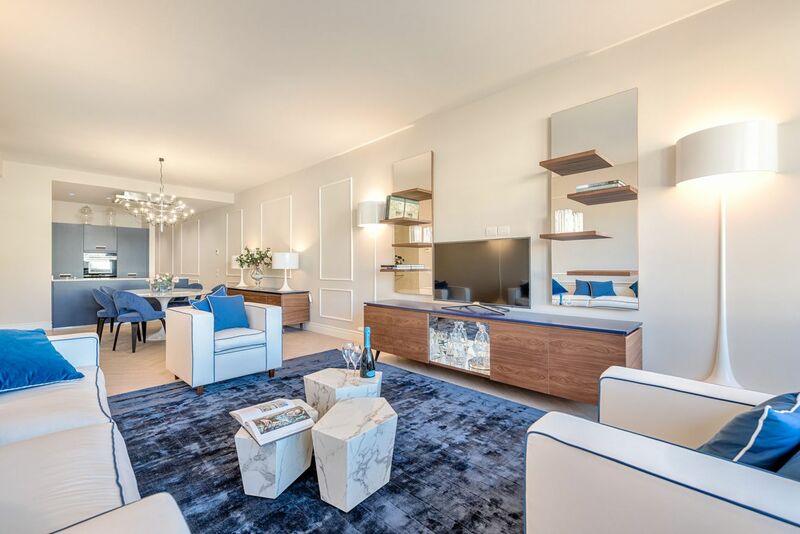 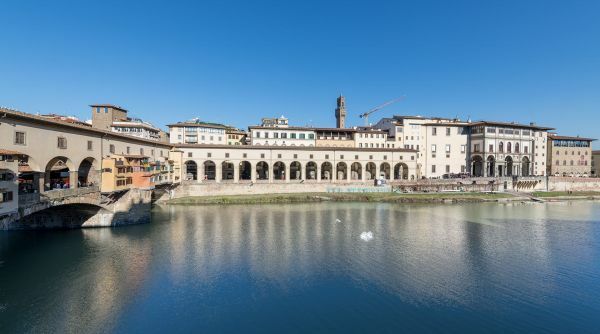 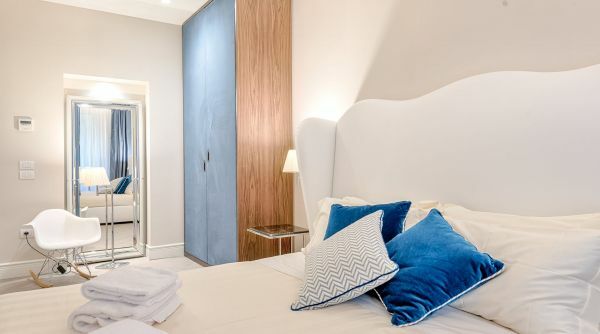 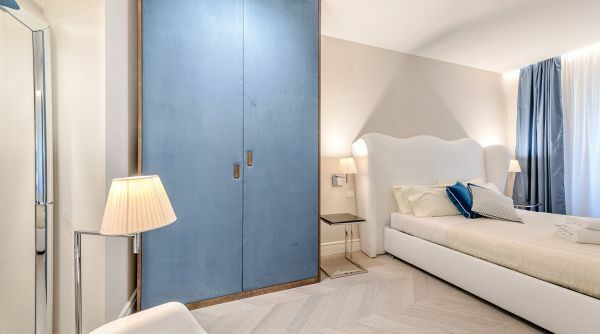 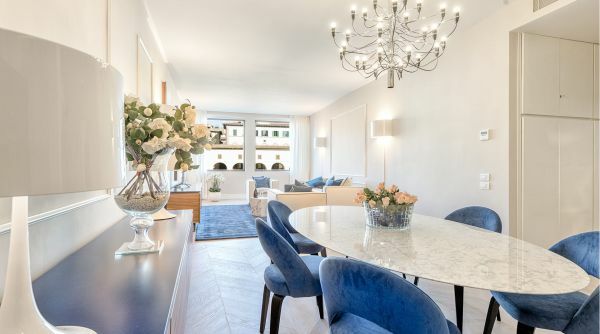 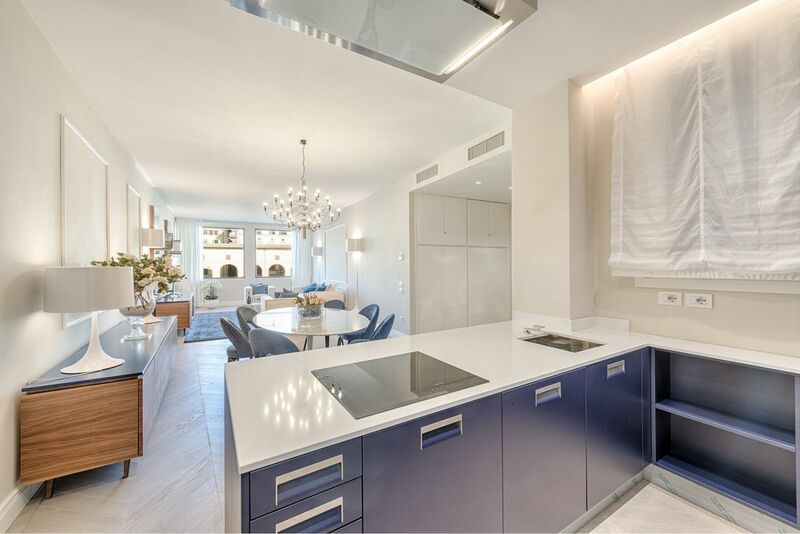 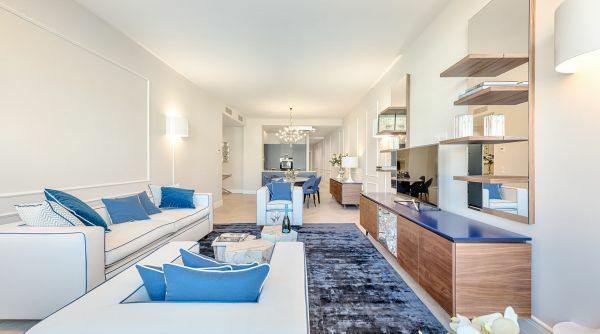 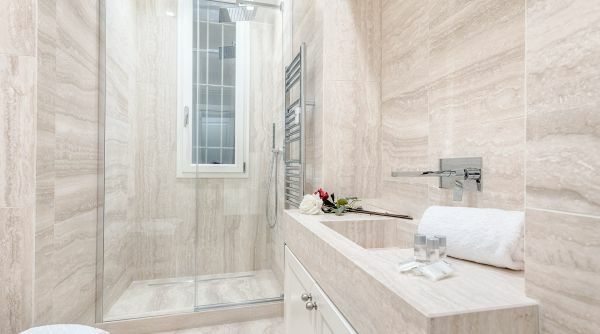 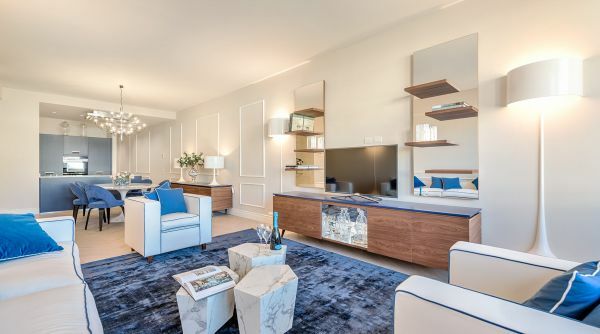 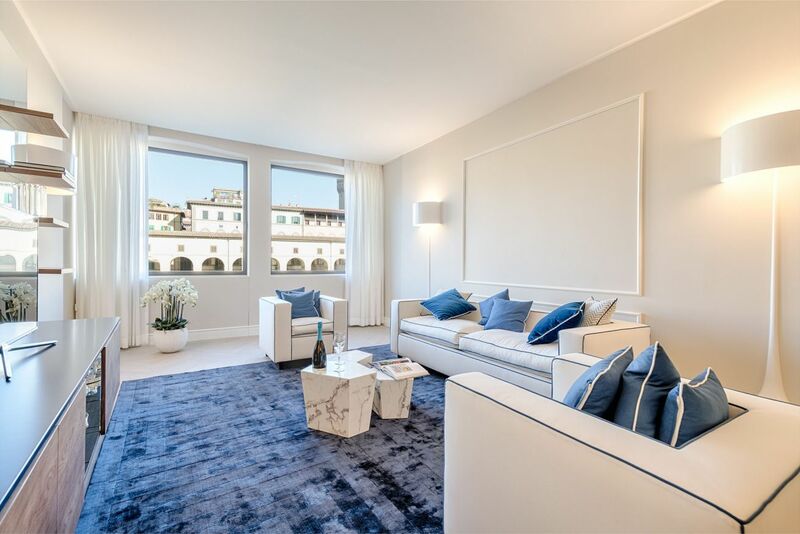 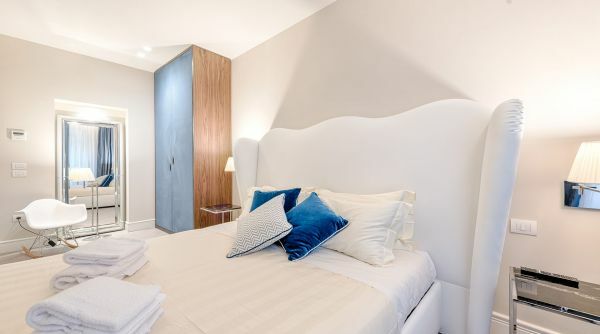 Luxury Blue River was recently renovated and fusrnished recently renovated and furnished with great care and attention to design: a luxury property that offers a wonderful view on Ponte Vecchio and on the Uffizi Gallery. 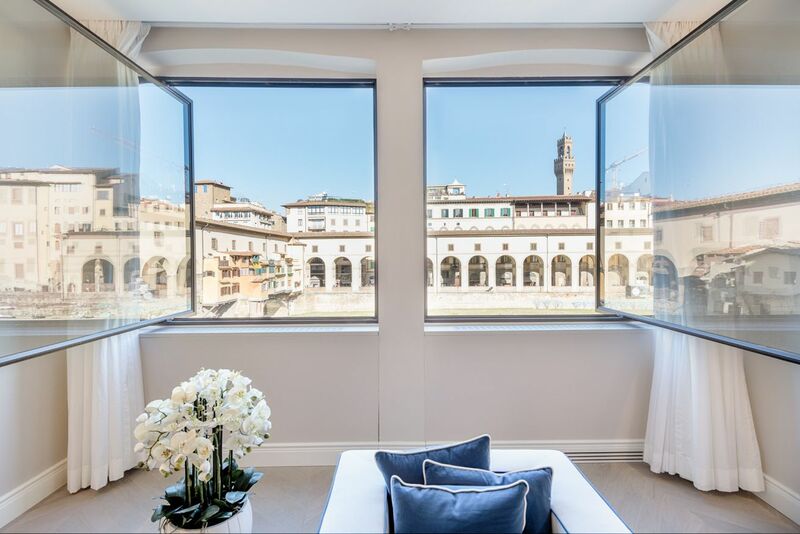 Capable to host up to 6 guests, the house has the elevator, internet access with Wi-Fi, airi conditioning and independent heating: an exclusive apartment suitable for lovers of luxury and comfort, ideal for those who want a truly unique experience in the heart of Florence. 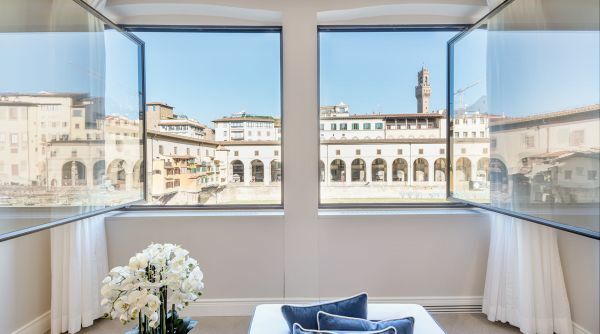 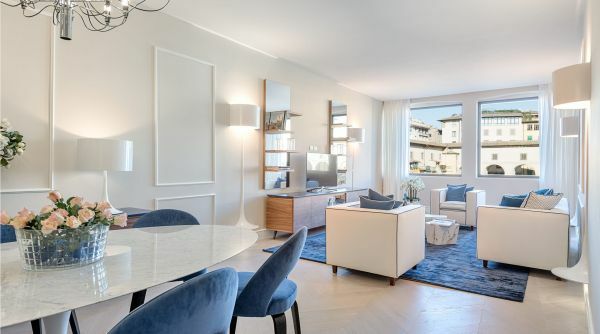 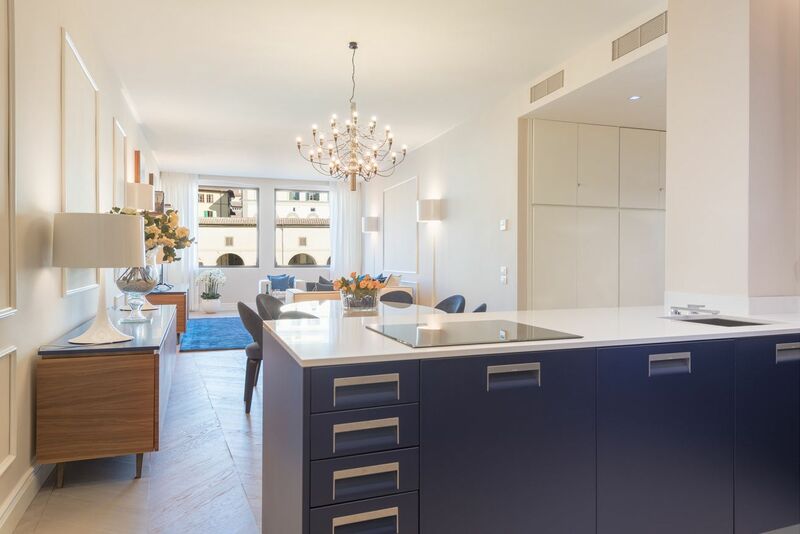 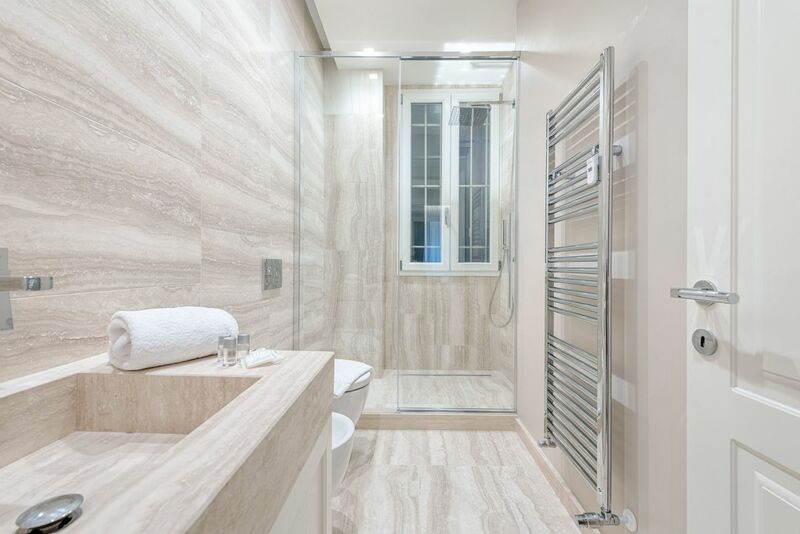 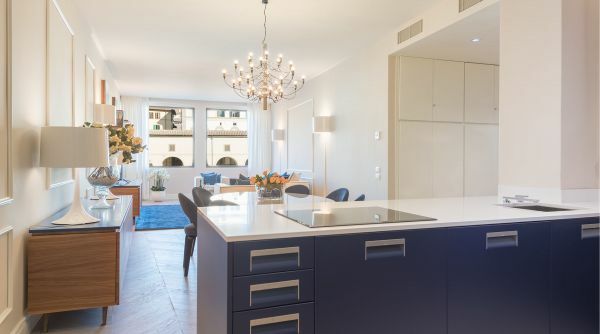 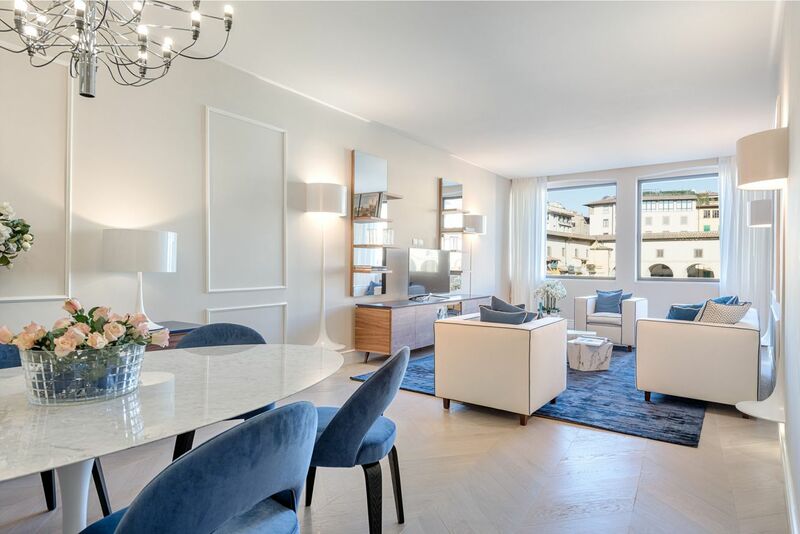 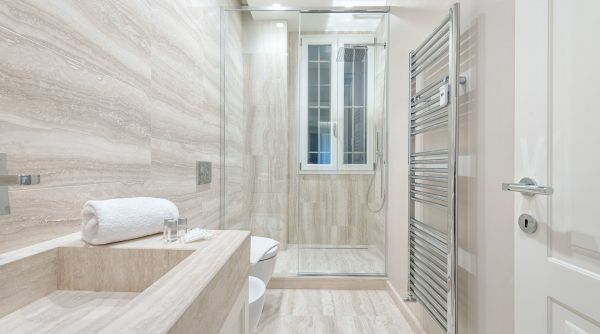 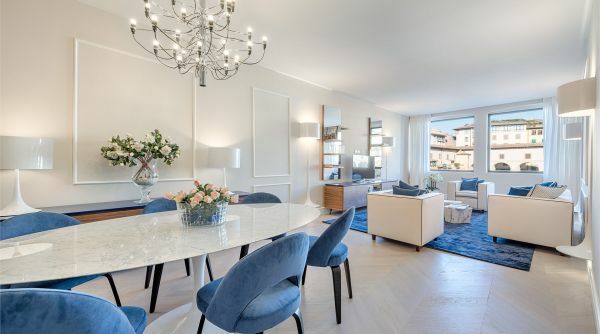 Luxury Blue River is a fantastic apartment, provided with every possible comfort, overlooking on the marvelous Ponte Vecchio, one of the landmarks of Florence. 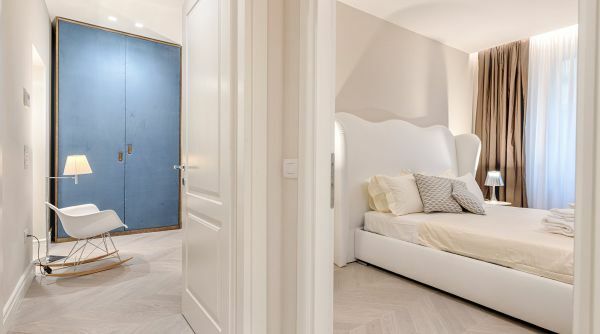 This is a very big house (120 square metres 1292 square feet) with 3 double bedrooms and 3 bathrooms, located in a perfect position to visit all the historical city centre. 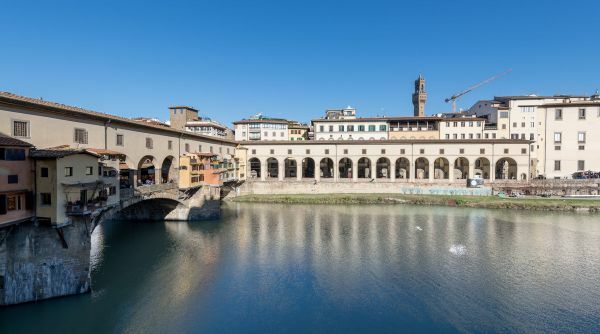 It takes less than 10 minutes by foot to get to all the maim monuments as Boboli Gardens, the Uffizi Gallery, the Basilica di Santa Croce and the Duomo of Florence.